Q:I have a full face and wonder if liposuction can be done. A: Liposuction on the neck or jowls can be done carefully even if the face is not thin. Proportion is important, and this must be taken into account when doing liposuction. Q: Liposuction one month ago made me lose some waistline but will I lose more? A: Continued retraction of the skin occurs as collagen builds up and pulls the skin down to underlying tissues. This occurs over three to six months. Be patient and watch your progress but continue to observe a healthy diet and exercise regularly. Q: I saw a friend who had liposuction and now has a painful dent in the skin of her inner thigh. It looks terrible. Is there anything she can do? A: She should go back to her surgeon to evaluate her indentation. Sometimes there is too much fat removed in one focal area and the skin can be pulled down to the muscle, become hard and even painful. This is rare. Occasionally there are superficial indentations without the painful retraction down to the base of the underlying tissue and this is not common but happens more than the previously-described significantly over-resected areas. Fat injections can be done to correct the indentation, and are often successful. Q: I had liposuction one month ago and want to work out but do I have to wear the compression garment during my exercise? A: I allow my patients to only wear the compression garment for half the day on the fifth and sixth weeks, and at this time if they choose to exercise they don’t need to wear the garment. Q: Should I have a revision after my SmartLipo? A: If you are unhappy with a liposuction result, wait at least three to six months for maximal healing and retraction and then see your surgeon to evaluate what should be done. Bruising and tenderness may be more with a second liposuction. Q: If I am overweight and have diabetes, can I get rid of my insulin if I have liposuction? A: Liposuction would not remove the visceral fat, or the fat that surrounds the small intestine. Liposuction can only access the fat that is underneath the skin and above the muscle. You would need to lose much of the fat behind the muscle wall with diet and exercise in order to see a change in diabetes, but this effect is not seen with all diabetes and your situation is different than someone else’s. Liposuction is not a replacement for diet and exercise. Q: I am wearing my compression garment for the third week after liposuction. It’s not as tight as it was the first week after surgery. Is this from the garment stretching out after multiple washings? A: Initially after liposuction there is swelling and then as you heal, especially after the second to fourth week, the swelling decreases so much that you may need a smaller size of a compression garment to maintain good pressure. Q: I have a fat face. Can I have liposuction to make it thinner? A: Is it fat or enlarged muscle? 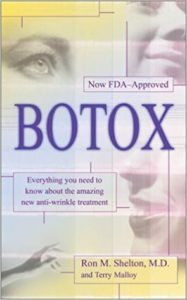 How can the face be treated while leaving it in proportion to your neck and body? Liposuction has been done on cheeks and jowls but there is a rare risk of nerve injury. Bruising and swelling can be considerable. Scarring is rare but not impossible. There are other risks that would need to be discussed by your surgeon prior to you agreeing to have it done. Q: Can I have liposuction on the love handles and an abdominoplasty (tummy tuck) at the same time? A: Yes you may but there is a slightly greater risk of a serious pulmonary fat embolus by combining both treatments. Speak to your surgeon to understand this. 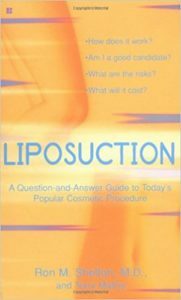 Q: Can liposuction be done without all that fluid going in and then creating unusual puffiness? A: This would not be safe. The tumescent liposuction was a major breakthrough in safety as there was much less bleeding during the procedure. 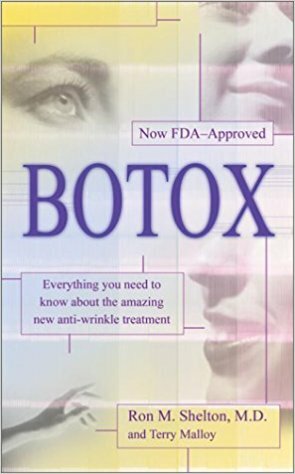 Dr. Jeffrey Klein invented this technique and it was extremely innovative. Not using a large volume and dilute anesthetic would increase the risk of bleeding, and limit how much anesthetic could be used. Q: My friend had liposuction with a tummy tuck and now has a seroma needing a drain. Is this common? A: A seroma is a rare but well known complication that can occur after surgery through the fatty tissue layers. The seroma is a collection of clear fluid, serum, and eventually stops as the wall of the tissue around the seroma closes down on to itself and seals the area. The drain allows for the fluid to stop. Compression garments may be recommended. If there is not enough slowing of the fluid accumulation, the surgeon may sclerose the cavity by injecting a chemical, sometimes something like an antibiotic that irritates the lining. The inflammation makes the body produce collagen and this “seals up the cavity”. Occasionally this doesn’t work with even a repeated effort and surgery may need to be done. Q: I am scheduled for liposuction but imagine that I can still lose another 10 pounds by exercising in the months ahead, but I have my wedding in a couple of months and want to look my best. Will weight loss after liposuction ruin my good results? A: No, you can lose weight after liposuction and improve the good results, but the optimal manner in which to have liposuction is to be close to your ideal body weight and have that area of fat accumulation that won’t go away with exercise and diet removed by liposuction. Q: I saw a friend of mine at the gym this weekend who had liposuction a month ago and looks good but I noticed when she was walking away from me that there was a crease behind her thigh underneath the buttock on one side. Does this mean she had a bad job? A: Liposuction creates swelling that can show up in different ways for different people. It takes three to six months for the swelling to subside and for the skin to maximally retract. In this time there may be significant reorganization. If it does not improve, then fat injections can be done to help lift the area. Your friend must have a follow-up appointment where this will or should be addressed by the doctor. Q: Can I undergo liposuction at the same time that I take Accutane for acne? A: The safest approach is to wait six months to one year after you stop Accutane to allow the skin to mature and the liver to rest before you have liposuction. Q: I see that there are marks made on my skin during liposuction surgery for the surgeon to know where to work, but do these marks come off on their own after surgery? A: Usually the surgical marking pen ink comes off in a few days, and most of it comes off by the end of the procedure.